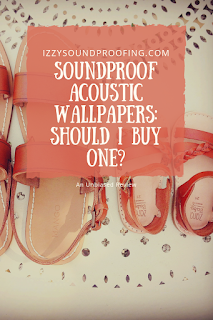 Soundproof Acoustic Wallpapers: Value for Money or NOT? 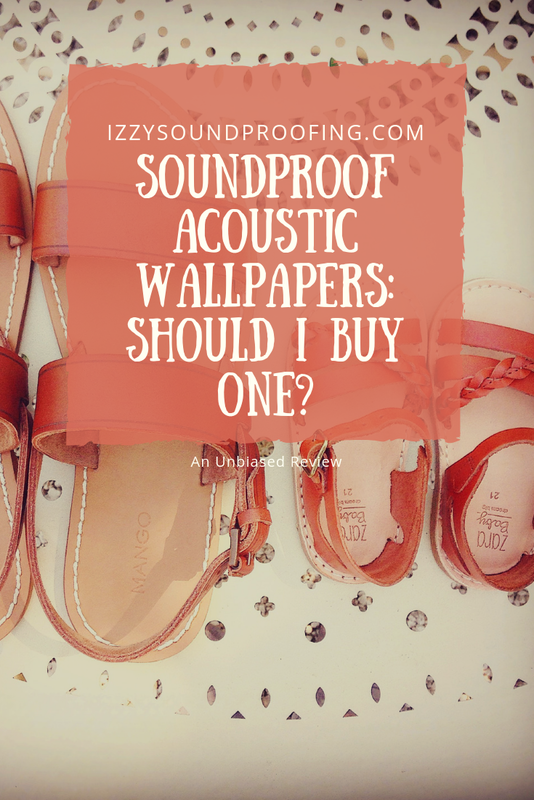 Soundproof Acoustic Wallpapers: Should I buy one? Well, in this post, I'll walk you through the various aspects of soundproof acoustic wallpapers that will help you to make an informed decision. Whether you're leaving in a noisy place or you're working in a noisy office, you would have definitely looked for some sound dampening solution. Soundproof acoustic wallpapers can be a cost-effective way to get rid of unwanted noise. I'm a soundproof consultant with a decade of experience. During this time, I met two kinds of client. The first type of clients had positive feedback about the soundproof acoustic wallpapers. They were very happy with the performance of these wallpapers. On the contrary, the second type of clients was totally negative. They weren't happy at all about the performance of the acoustic wallpapers. So, what went wrong for them? It goes without saying that soundproof papers are gaining popularity in recent years. They are nothing but layers of papers made from beautiful papers and backed with foam or other appropriate sound insulating materials. The thing that I love about these wallpapers is that you don't need to drill a hole or any sort of thing to install the acoustical wallpapers. These acoustic wallpapers can be easily installed, and are also handy. You simply need to glue the wallpapers with sound insulation like Green Glue, and you're done. I prefer to recommend these acoustic wallpapers for soundproofing to those clients who are on a tight budget. Definitely, a cost-effective soundproofing material. The other benefit of using these wallpapers is that it will add style to your room, and thus, will enhance the visibility of your room decor. In case, you're planning to redecorate your room, then it's advisable to use soundproof wallpapers rather than normal ones. How does acoustic wallpaper work? For newbies, it's really difficult to understand that wallpaper can dampen the noise. Most of my clients used to ask me, "how come a thin sheet of paper will absorb the noise?" Are you also having a similar query? Do you know that soundproof wallpapers come in a variety of colors and patterns? As compared to the normal wallpapers, these soundproof wallpapers are thicker. These wallpapers are packed with layers of acquisition foam panels known as acquisition wallpapers or Latex. Some soundproof wallpapers are made of closed-cell polyethylene foam on the inside which reduces the noise by making the wallpapers vibrate and lose its effects. The brick-like look makes these wallpapers stylish and gives your room a premium look. I can bet that you'll not be able to find any difference between these acoustical wallpapers and the pattern ones until you touched them. The materials help in both noise absorption and noise insulation. You can expect a tangible difference once you install these acoustical wallpapers on your wall. Well, "does soundproofing wallpaper work?" is a relative question. In fact, depending upon your expectation, it may or may not work for you. Even before you plan to use a soundproofing wallpaper for sound dampening purpose, I would recommend you to evaluate its capability as a sound insulation material. Unlike soundproof paints, these wallpapers will protect you from low frequencies. I hope you're well aware of the fact that low-frequencies are toughest to combat. Some of the examples of low-frequencies are noisy neighbors, loud music, TV noise, loud laughter etc. If you're troubled with the low-frequencies, then definitely soundproof acoustic wallpapers are the things that you should look for. On the other hand, if you're living in a place where high-frequencies such as loud car hooting, deafening music etc is the problem, then I would recommend you to NOT consider soundproofing wallpapers as a feasible option. Bonus Tip: The thicker the wallpaper the better it will perform. By including other soundproofing methods such as acoustic panels, mass loaded vinyl etc can help you to a great extent. There aren't any constraints on using the acoustic wallpapers. In fact, you can use these wallpapers anywhere and everywhere. Some of my clients have genuine doubt on whether they can use these wallpapers in children room or NOT. Definitely, these acoustic wallpapers can be used in the children's room and the Nursery. On the contrary, you may not get the desired result on using it in moisture-prone areas such as bathroom and kitchen. Due to the humidity, these soundproof wallpapers may get de-stabilized. In case, you want to use these sound dampening wallpapers in the moisture zones, then you'll have to replace them on a regular basis which is NOT only time-consuming but also expensive. However, the best thing that you can do is to use noise deadening wallpapers alternatives in bathroom & kitchen for the optimum result. It goes without saying that sound blocking wallpapers alone can't be enough to get rid of all the unwanted noise. Using it in the combination with some other soundproof acoustic wallpapers can help you to fetch idiosyncratic results. If you're an avid reader of this blog, then you'll be aware of the fact that mass loaded vinyl is made of dense rubber like material that is very thin. The good news about mass loaded vinyl is that it is cumbersome as well as non-toxic. Without any doubt, mass loaded vinyl is one of the best soundproofing materials, and the credit goes to the density of the materials. The mass loaded vinyl works best against the high-frequencies. Sound blocking capabilities of the room can be enhanced by using MLV on the walls & ceilings. You'll not need professional help for the installation of the mass loaded vinyl. The MLV performs REALLY well against airborne noises. After installing it, you can also stick acoustic wallpapers for the optimum performance. On the downside, it will take more time for installation as compared to the sound dampening wallpapers. And, of course, it is a bit pricey. Did you get a chance to visit an audio recording studio? If yes, then you would have definitely seen acoustic foam panels. Acoustic foam panels are great at reducing echoes, reverbs, and vibrations. These sponge-like product act as the sound absorbing material. These acoustic panels come in many colors, shapes, and sizes. The foam panels are affordable, but at the same time, it does look elegant and sophisticated. Many of my clients have restraint themselves from using acoustic foam panels because of its look and feel. Though these panels perform extremely well against loud noise still it isn't the best sound absorbing material available on the market. On the downside, you need to clean it on a regular basis because it absorbs dust. Unfortunately, dust may impact the performance of the acoustic panels. I've written a detailed article on acoustic paint to help you make an informed decision. There is not much difference between acoustic paint and wallpapers. Both are used for the same purpose. In terms of effectiveness, paint dominates the wallpaper. To get the best out of soundproof paints, you'll need to invest in a good paint and also use at least three layers of paints. Acoustic paints are expensive than the wallpapers but it's worth every penny. Sound dampening paints can be easily cleaned, so you don't have to worry. Of course, these paints are durable and last longer. But, you need to be careful about the cheap paints. They may look similar to high-end paints but they aren't effective. The worst thing about the cheap paints is that they can't be cleaned easily once you've applied them on the walls. They will tear while cleaning making the entire process tedious and time-consuming. There are three ways to apply the paint on the walls. You can use a brush or a roller to paint your walls. Spraying is yet another way to paint the walls. I would recommend you to use acoustic wallpapers along with the soundproof paints for the better result. One of the cheapest ways to soundproof your room is to incorporate your interior decors. It involves rearranging the furniture in a unique way to dampen the unwanted noise. You can put your furniture against the walls. When this method is used along with the soundproof wallpapers, the results are mindboggling. I wouldn't say that you'll achieve complete quietness, but definitely, you'll achieve a tangible quietness. The key to success is to use soundproofing wallpapers along with other soundproofing methods. Soundproof acoustic wallpapers are one of the cheapest ways to dampen unwanted noise. However, it will not completely eliminate unwanted noise. For a better result, you'll need to use acoustic wallpapers along with other soundproofing materials. Last but not least, share this piece of information with your friends and colleagues, so that they can also make an informed decision.